Our business and tax services are designed to meet the financial needs of anyone from business owners, executives, and independent professionals to individuals looking for a financial solution. Services range from individual and corporate tax preparation to accounting, bookkeeping, payroll, and other regular financial needs to business consulting. 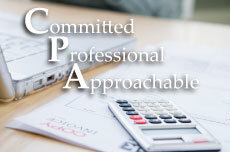 © Bradley E Hammel CPA PA | Website Design by Napier Communications, Inc.